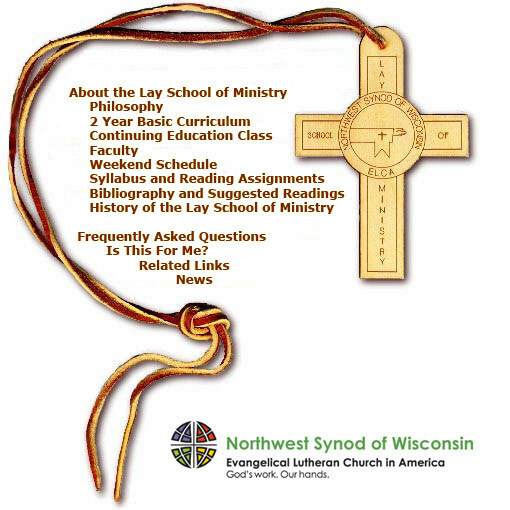 Welcome to the web site of the Northwest Synod of Wisconsin's Lay School of Minstry. Please click on the menu items to the left and below to access information on these Lay School of Ministry topics. Click --> HERE <-- for dates and instructors.